How Can You Find, Train, and Retain Superstar Salespeople? Finding the right people with the right skills to sell your products and services is critical to the success of your organization. A full 75% of all salespeople are either in the wrong position or they are selling products and services which don't fit their skills and interests. The end result is that your sales figures and your profitability suffer. So how do you know which candidates have the highest likelihood of becoming a sales superstar? You compare them to your current top performers. Using the Checkpoint Sales Indicator™, you'll first establish a benchmark of what "top performance" looks like. Your star salespeople will take the assessment first to establish the standard against which other salespeople and candidates will be compared. You'll then get a report on each employee or candidate showing how they measure up on five key qualities and seven critical behaviors which accurately predict their likelihood of sales success. In addition to measuring the sales skills of your employees and candidates, you'll also want to test them to be sure their interests and attitudes match your organizational goals, culture, and expectations. For this, use the Profile XT™ as an important component of your hiring process. You'll also want to ensure your new hires have the right attitudes and behaviors to prevent potential problems. With the Profiles Step One Survey II™ you'll measure your candidates on topics ranging from drug abuse, theft, absenteeism, and integrity. Knowing more about the character of the people you hire is invaluable information which will save time and money in the long run. If your salespeople are not hitting their targets, or sales simply aren't growing as rapidly as you planned, it might not be the fault of your salespeople and sales managers. The culprit could actually be your system (or lack of) for hiring and training salespeople. But since you work inside your systems every day, it may be challenging to step outside and identify where the issues really are. If you truly want to increase sales, call on Business Insight Technologies to help. More than providing assessment tools, the experts at Business Insight Technologies will guide you to develop a system for finding, retaining, and developing star salespeople. In fact, Business Insight Technologies has assembled a package of tools specifically designed to select, hire, train, and retain top sales performers. Ask about the Sales Toolkit™ today. 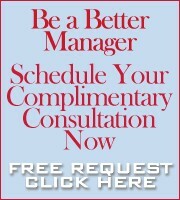 Contact Business Insight Technologies now to schedule a complimentary consultation. You're only a call away from having a superstar sales team!